Are you looking for a clean, safe place to store your things? Golden Key Mini Storage can provide you with that as well as flexible and affordable self-storage space. 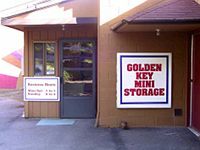 With over 35 years of experience, Golden Key Mini Storage has been serving residents of Lake Oswego, Portland, Tigard, and Tualatin since 1975. We bring a superior quality of service and value to the self storage business to simplify your self storage experience. To assure you of personal contact and peace of mind about your goods we have an experienced on-site resident manager. We offer UPS and freight receiving and shipping. We welcome small businesses, professional people and organizations such as the Girl Scouts. Golden Key Mini Storage has a variety of storage space sizes, from 5' x 7' up to 14' x 20'. There are overhead doors on the 10' x 12' and larger units. The smaller units are accessible through inside hallways. 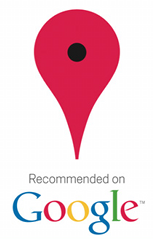 We have many long-time customers from Portland, Lake Oswego, Tualatin, and Tigard. Many offices and businesses are looking for ways to save money and cut back on spending. Rents are a huge cost to businesses so downsizing on these are a huge saving. But obviously there still needs to be a location to store the likes of secure documents, filing, marketing products, equipment etc. This is where the use of a secure self storage unit is a perfect solution. * Discounted rate applies to new tenants with approved rental agreements. Requires month-to-month terms and first month paid in advance. 6725 Southwest Bradbury Court, Tigard, OR.